Anxiety disorders affect 18% of the United States adult population annually. Recent surges in the diagnosis of posttraumatic stress disorder (PTSD) from combat-exposed veterans have prompted an urgent need to understand the pathophysiology underlying this debilitating condition. 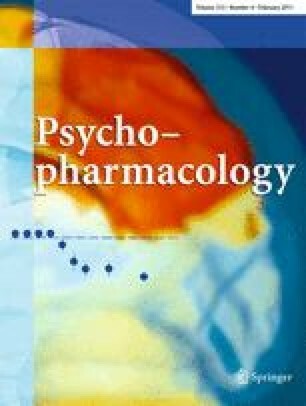 Anxiety and fear responses are partly modulated by gamma aminobutyric acid type A (GABAA) receptor-mediated synaptic inhibition; benzodiazepines potentiate GABAergic inhibition and are effective anxiolytics. Many genetically modified mouse lines are generated and/or maintained on the C57BL/6J background, a strain where manipulation of anxiety-like behavior using benzodiazepines is difficult. Fear-potentiated startle (FPS), a test of conditioned fear, is a useful preclinical tool to study PTSD-like responses but has been difficult to establish in C57BL/6J mice. We modified several FPS experimental parameters and developed a paradigm to assess conditioned fear in C57BL/6J mice. The 6-day protocol consisted of three startle Acclimation days, a Pre-Test day followed by Training and Testing for FPS. Subject responses to the effects of three benzodiazepines were also examined. C57BL/6J mice had low levels of unconditioned fear assessed during Pre-Test (15–18%) but showed robust FPS (80–120%) during the Test session. Conditioned fear responses extinguished over repeated test sessions. Administration of the benzodiazepines alprazolam (0.5 and 1 mg/kg, i.p. ), chlordiazepoxide (5 and 10 mg/kg, i.p. ), and diazepam (1, 2, and 4 mg/kg, i.p.) significantly reduced FPS to Pre-Test levels. We used a modified and pharmacologically-validated paradigm to assess FPS in mice thereby providing a powerful tool to examine the neurobiology of PTSD in genetic models of anxiety generated on the C57BL/6J background. Kiersten S. Smith and Edward G. Meloni contributed equally to different aspects of this work. The online version of this article (doi: 10.1007/s00213-010-2026-1) contains supplementary material, which is available to authorized users. The project described was supported by a grant from the Andrew P. Merrill Memorial Fellowship Foundation and a fellowship from the National Institute of Neurological Disorders and Stroke Neuroscience Scholars Program to KSS, a Collaborative Initiative Award from the Howard Hughes Medical Institute to WAC, and Award Number R01 MH080006 from the National Institute of Mental Health to UR. The content is solely the responsibility of the authors and does not necessarily represent the official views of the National Institute of Mental Health or the National Institutes of Health.